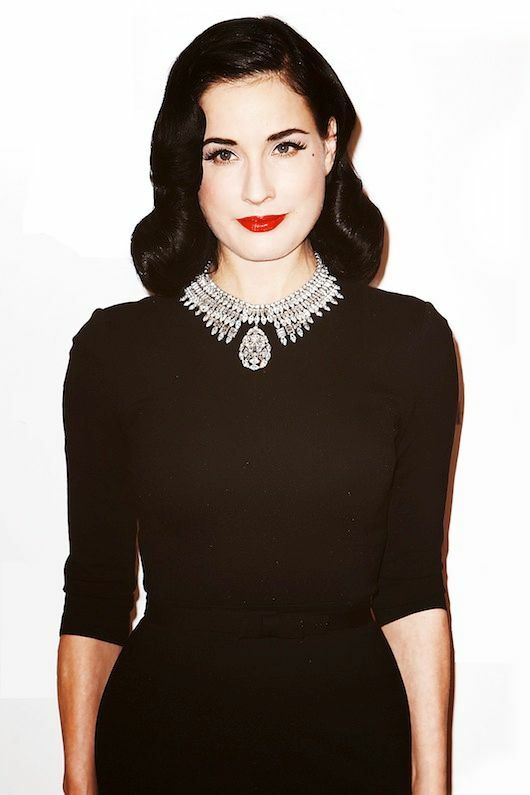 I don't think any vintage-loving girl worth her scuffed Vara Ferragamos can escape being a fan of Dita von Teese's street style. Completely aside of her costumes on stage, when she hits the streets she looks like she walked out of a film from the 1950s. Despite mixing vintage and modern pieces she constantly channels stars of a bygone era in impeccably tailored and accessorized looks. 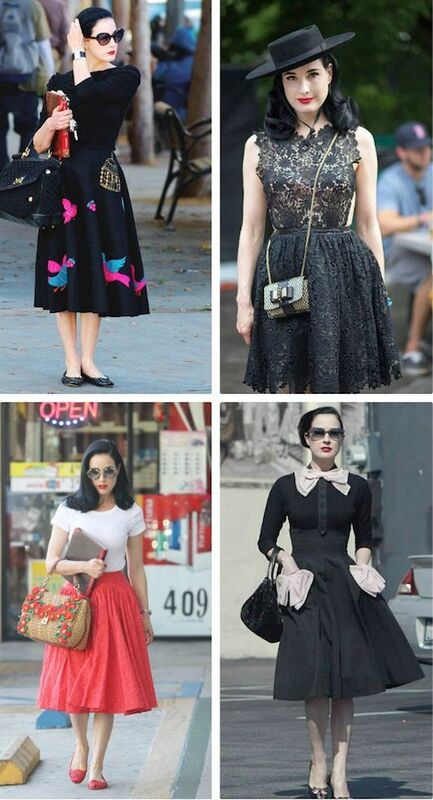 I always shy away from looking too theatrical or fussy, but every time I see pictures of Dita walking around West Hollywood or shopping in Paris I want to steal her outfit head-to-toe. Hopefully one day I'll get to her level of vintage commitment.